Use The Merchants Stone To Aid Wealth Creation? Cinnabar has strong metaphysical properties, and it is known as a stone for manifestation and wealth creation, and has been labeled the 'Merchants Stone'. 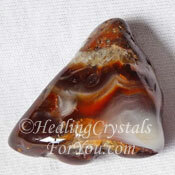 The energy of this stone may bring an increase of wealth into your business. 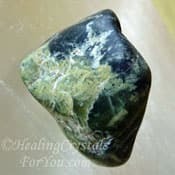 This stone is also powerful for awakening mystic vision, and this may empower you to complete your Divine purpose for incarnating at this time. It is a stone of transformation, of magic, alchemy and healing. It aids enhanced communication and inspired thinking, and may be used to align all of the chakras and release fear and resentment. This stone has been found in a number of locations, including Mexico, Spain, Serbia, China and the USA. 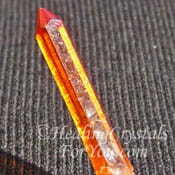 The meaning of the name Cinnabar comes from the Persian word meaning 'Dragons Blood', and are also called Cinnabarite. 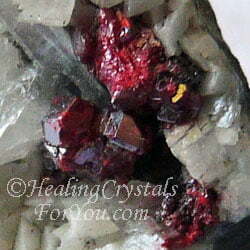 It may be deep red crystals found intergrown with Stilbite which has a very supportive energy, or they may occur as tiny red spots, included in quartz. 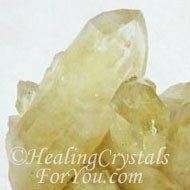 These powerful healing crystals often occur either intermixed with quartz in the same stone or alongside quartz crystals. 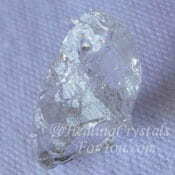 This is an excellent combination for metaphysical purposes, as the quartz serves to amplify the vibration. As this stone contains mercury, it should not come into contact with your skin. If you have it inside a very strong sealed cloth bag the vibration will come out into the room without you having skin contact, but take care how you manage your use of this stone, and ensure you use it sensibly. This is a stone that brings mystic psychic visions, and it has a powerful resonance that assists the awakening of your spiritual potential. 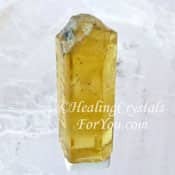 It has powerful metaphysical properties within the third eye chakra, and this strong vibration may create the conditions required to aid your life to progress in alignment with Divine Will. Your creative gifts resonate from within your sacral chakra, and this stone has a strong energy that may ﻿enhance your creativity﻿. The third eye chakra strongly relates to inspired thinking and access to your innate inner knowledge. This crystal will link the third eye chakra with the lower chakra, specifically the sacral chakra and base chakra, and this stones ability to link these chakras is very powerful. 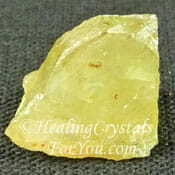 It has powerful metaphysical properties that encourage you to think in a more inspired and spiritually creative way. This connection between the spiritual world and the physical world makes this a potent stone. By bringing spiritual insights from your third eye to the lower chakras, they may be brought into physical reality, to manifest ideals, and to manifest money. Why Would You Use It? Who Should Use It? 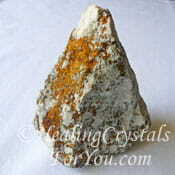 This stone resonates strongly within the sacral chakra and base or root chakra, and this energy is known to enhance the awakening of your kundalini. It will encourage a stronger flow of life-force energy within these lower chakras, where it is known to stimulate sexual feelings, and may enhance personal relationships. It is known to also help you to release fear and resentment, and to deal with hurt feelings, anger, and jealousy, and stop you from taking issues to heart. 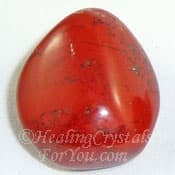 Cinnabar has a strong vibration to ground excessive energy, taking any excess down via the base chakra to the earth chakra, to facilitate spiritual grounding. This makes it a helpful stone to use for enhancing your personal relationships, as any excess of energy will safely dissipate to ground. It will aid you with developing intuition, and brings an increase in your mental alertness, ingenuity and your ability to think more directly and creatively. 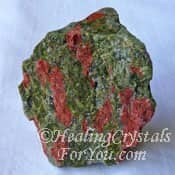 Cinnabar stone is a powerful transformation crystal, that encourages you to use its energy to fully embrace your inherent genius. It is a powerful stone to use during meditation, as it enables you to better understand the flow of energy from the Divine source to the physical world. 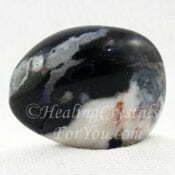 This stone will encourage a greater flow of this energy to the physical body. 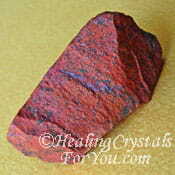 When used in meditation, Cinnabar stone may enable you to better understand how this process works. 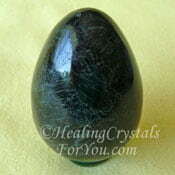 It is known as an excellent stone to have in your business to manifest money. 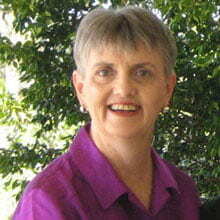 It may help you to ascertain where problems are that may block your abundance. The best way to use it is to keep it close to where you receive your money, as this method has been known to bring an increase in income. It can be kept in a sealed box or container near where you receive money and the energy will still be able to benefit you. It also aids sales people, as it will increase your assertiveness and may aid your speech to be more articulate and more persuasive. This may bring an influx of abundance and prosperity into your life. It is also known to stimulate an increase in self confidence and to facilitate more fluency in your communication. 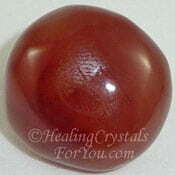 This is a stone for manifestation and wealth creation and has been labeled as the 'Merchants Stone'. 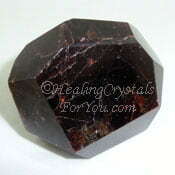 This is because it commonly is a powerful stone to bring an increase of wealth into your business. Because Cinnabar links the third eye chakra with the lower chakras, it encourages your thoughts to be more inspired and spiritually creative. It has been known as a stone of transformation, of magic, alchemy and healing, and may be used to align all of the chakras and release fear and resentment. This is a powerful stone for awakening your mystic vision, to allow you to complete your Divine purpose for incarnating at this time. Cinnabar Stone has a positive effect at the physical level, and is a strong stone to aid the healing of the physical body. It may be used to align all of the chakras, and it has been said to give those who wear it long life, as it is known to enhance your life force. 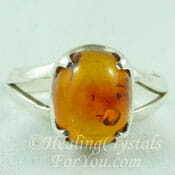 Its energy vibrates strongly within the navel chakra to aid the healing of sexual or fertility issues. 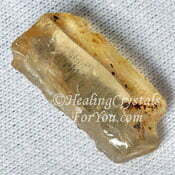 This stone is known to aid the healing of a number of different health problems. It is said to help the healing of blood disorders and to improve the overall physical strength of the body. This mineral is a strong booster for the immune system. It may help the body to heal deep seated and on-going infections, including staph or bacterial infections. It is known to aid the healing of underlying problems causing weight issues. It is excellent to use if you have skin eruptions such as boils. "The greatest good you can do for another is not just to share your riches, but to reveal to him his own." Benjamin Disraeli. The crystal books below, are all very in-depth crystal reference books. I love that there are now so many new crystal books available, and that many have such interesting information. An example is the wonderful new book from Judy Hall, Crystals and Sacred Sites shown below, which I found to be a very interesting and informative read. This book looks at a different aspect of using crystals. The information Judy Hall outlines makes you aware that these stones have been in use since ancient times, and there is a link between the locations where various stones are found and their attributes for healing and spiritual growth. If you'd like to know more about this book, and the many other books that are obtainable, check out my Crystal Book Review Page... Enjoy! 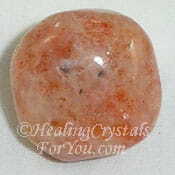 This stone has strong qualities for stimulating manifestation and will encourage abundance and prosperity. This may be enhanced further if you use it with any of the Golden stones, including Citrine Crystals, Sunstones, Yellow Labradorite, Chalcopyrite, Yellow Apatite, Heliodor and Amber. Depending on what your reason is for using this stone, you may choose to combine it with a range of different stones. 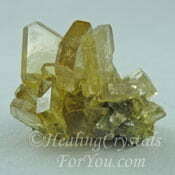 To boost its action to aid transformation, you may wish to combine it with Cerussite. If you wish to bring an increase in your creative abilities you may combine it with one of the specific sacral chakra stones for enhancing creativity. 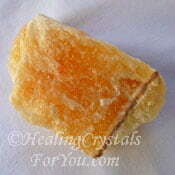 This includes Orange Calcite, Sunstone, Zincite or Orange Carnelian. Cinnabar is known to aid kundalini awakening, and Serpentine is a powerful stone to use to ensure that the process goes smoothly. To aid personal relationships, you may combine Cinnabar with Zincite, Orange Carnelian, Fire Agate, Sardonyx or Red Jasper. Use it with stones such as Black Tourmaline, Cuprite or Red Garnet, which are base chakras stones that also aid grounding. Unakite, Phenacite and Baryte are third eye chakra stones that stimulate mental and visionary abilities, so they will combine well with it to enhance this aspect.